You are not meant to play most Fake Book/Real Book tunes exactly as written. 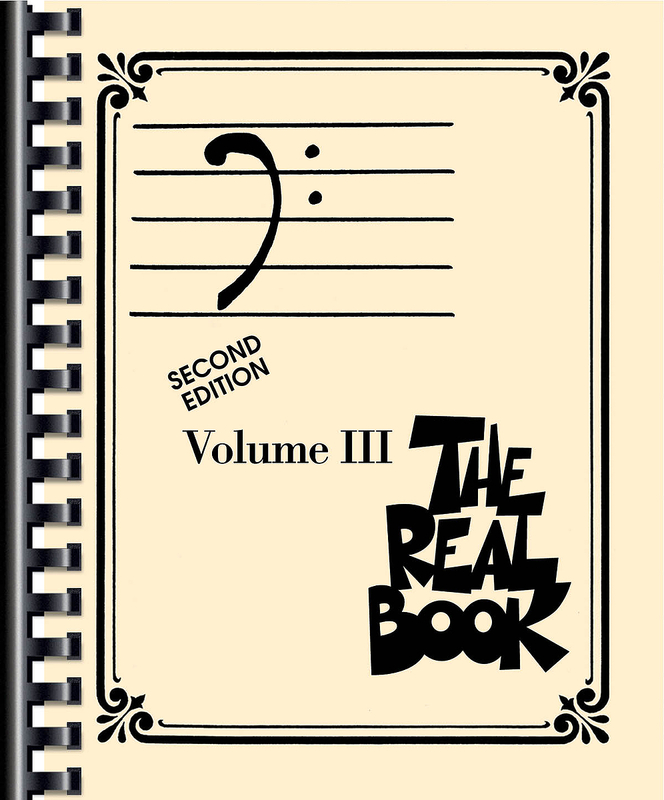 One of the most widely-used resources among jazz students are so-called “Real Books”. Real Book is more-or-less a pun on “Fake Book”, a collection of rough lead sheets for jazz or popular songs. 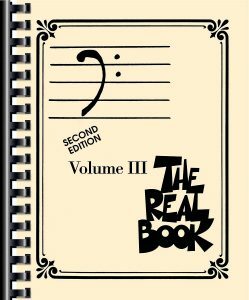 The Real Book first appeared around the US city of Boston in the 1970s, rumour has it that it was compiled by musicians at the Berklee College of Music. Lots of the tunes were rhythmically and harmonically more accurate than typical lead sheets, or put into print for the first time many important jazz tunes that had previously only been known from their recorded versions. It was also common for fake books to show only chords and lyrics, whereas the Real Book showed melodies too. The first Real Book was illegal as it infringed copyrights. More recent commercial editions are legal. The idea of a Real Book is that jazz musicians can play any of the tunes on a gig or at a jam, even if they have never heard or played them before. Lead sheets usually give only enough information to enable experienced musicians to “fake” a performance of the song. Given just the basic melody and chords, a musician or band can create a complete, polished-sounding performance of the song that includes bits of arrangement like intros, shout choruses, solos, backgrounds, counter-melodies, and codas. This is NOT how jazz musicians play Autumn Leaves! Maybe think of Real Book charts as the average of all the ways jazz players might play that tune, but not how anyone would actually play it. Jazz performance always involves some degree of improvisation, be it only elaboration or decoration of a melody. 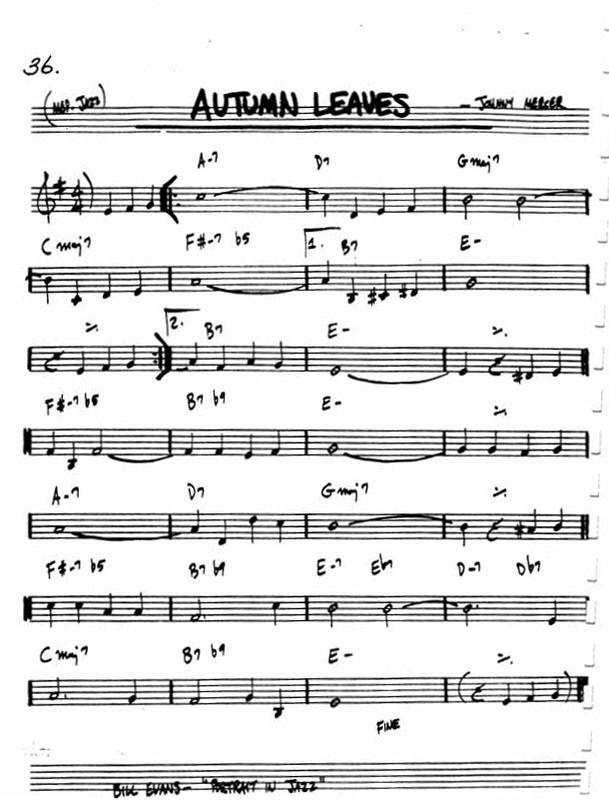 When someone plays Autumn Leaves in a jazz context, the rhythm will be varied and the tune decorated interpretations of what is in the lead sheet. More often, jazz players will just know the tune from memory and will have heard numerous recordings and performances of it and that experience will give them the vocabulary to play their own version. 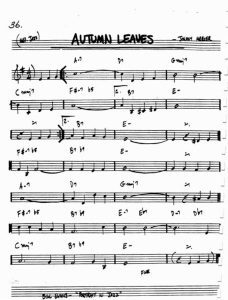 When someone plays Autumn Leaves exactly as it appears in the Real Book, they are not playing jazz. Just playing the melody of a tune that jazz musicians play, or even one written by a jazz composer, does not mean you are playing jazz. It needs to be played in a jazz way. Music teachers aiming to teach jazz should teach jazz ways of playing, not just repertoire. Strict reproduction of repertoire with an ideal tone is a classical way of playing music. Jazz involves idiomatic interpretation and variation of compositions by the performer. Use the Real Book as the starting point for a jazz version of the tunes, but not the final product. Students and teachers can learn what this sounds like by listening to recordings of professionals performing the same tune.